108 paintings of White Tara ~ a meditation deity revered within Tibetan Buddhism who embodies compassion, long life, healing and serenity. 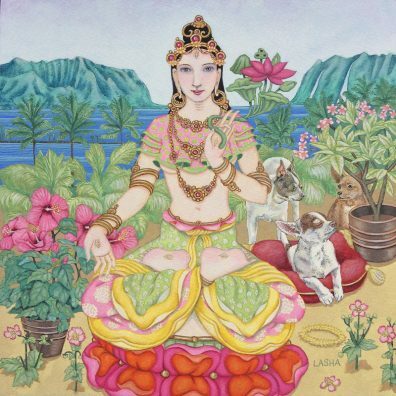 Original paintings and giclee prints can be found in this gallery. 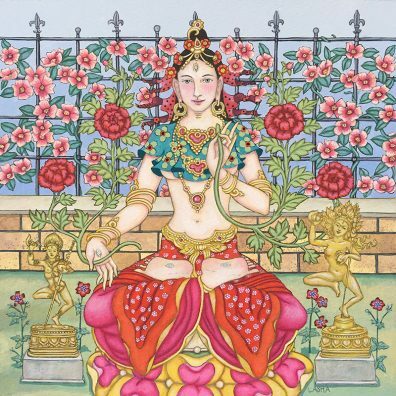 A 108 White Tara Card Deck is also available. 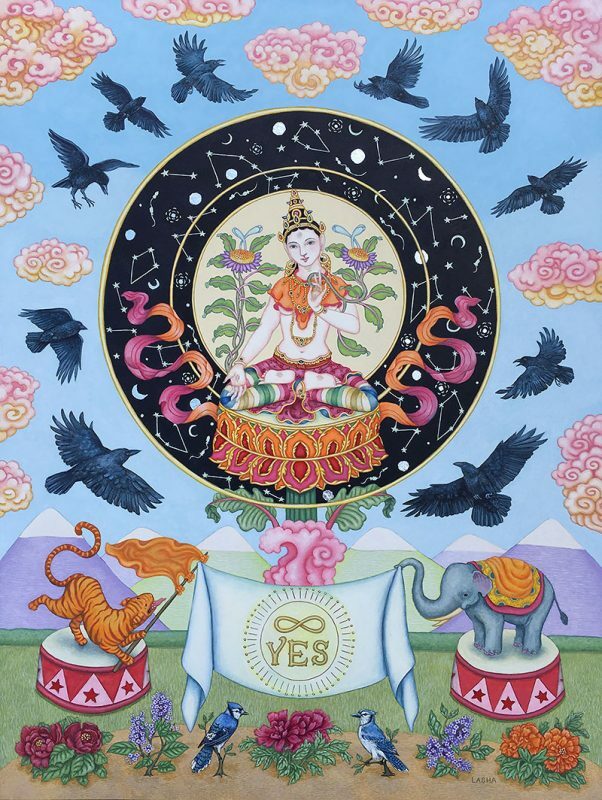 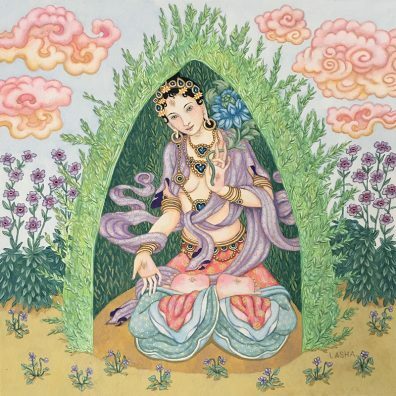 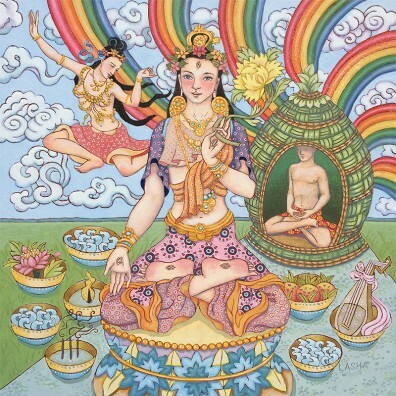 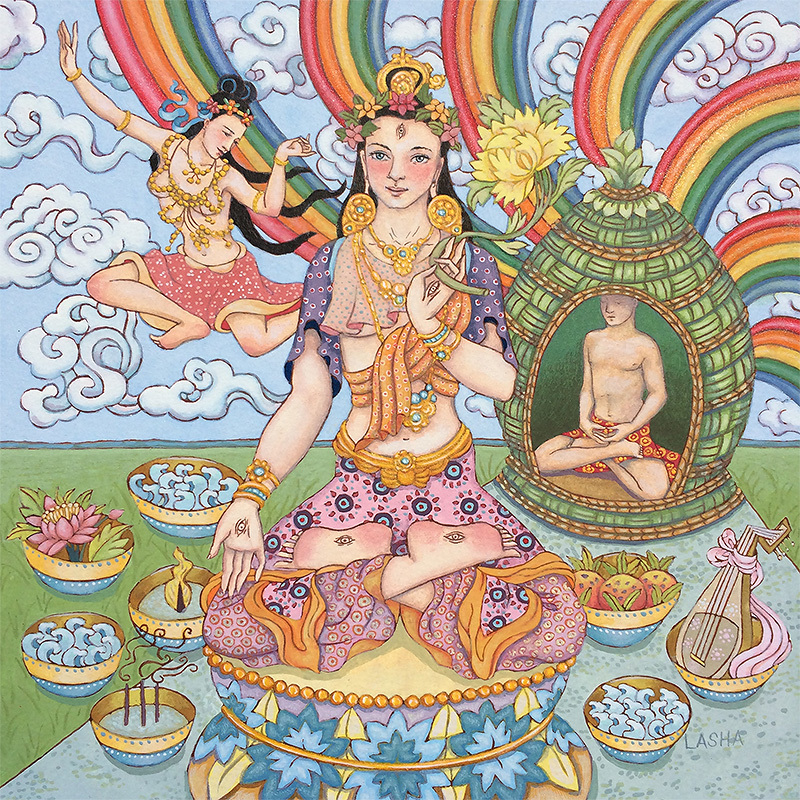 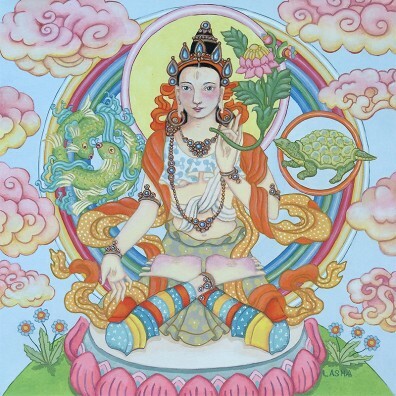 Lasha is currently accepting White Tara painting commissions – contact Lasha for more info. 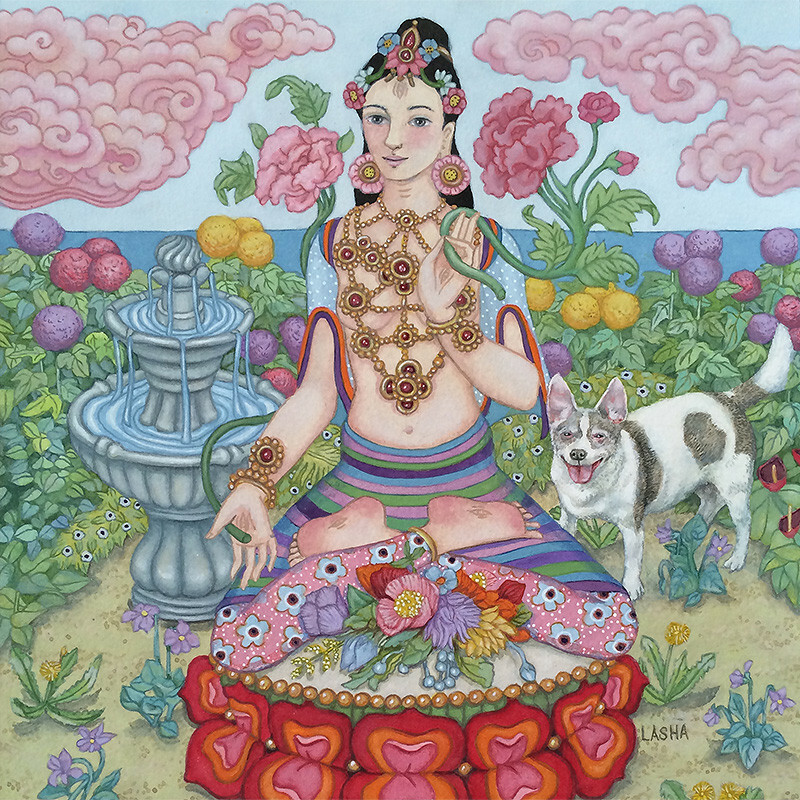 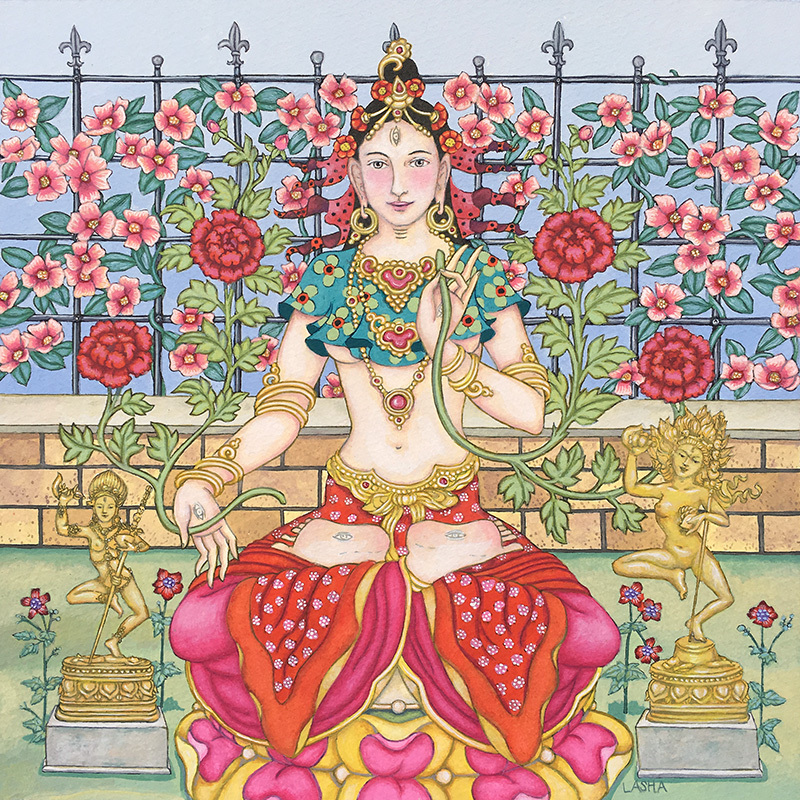 Original White Tara paintings & Giclee prints are available for purchase by clicking the orange cart buttons below each art piece. 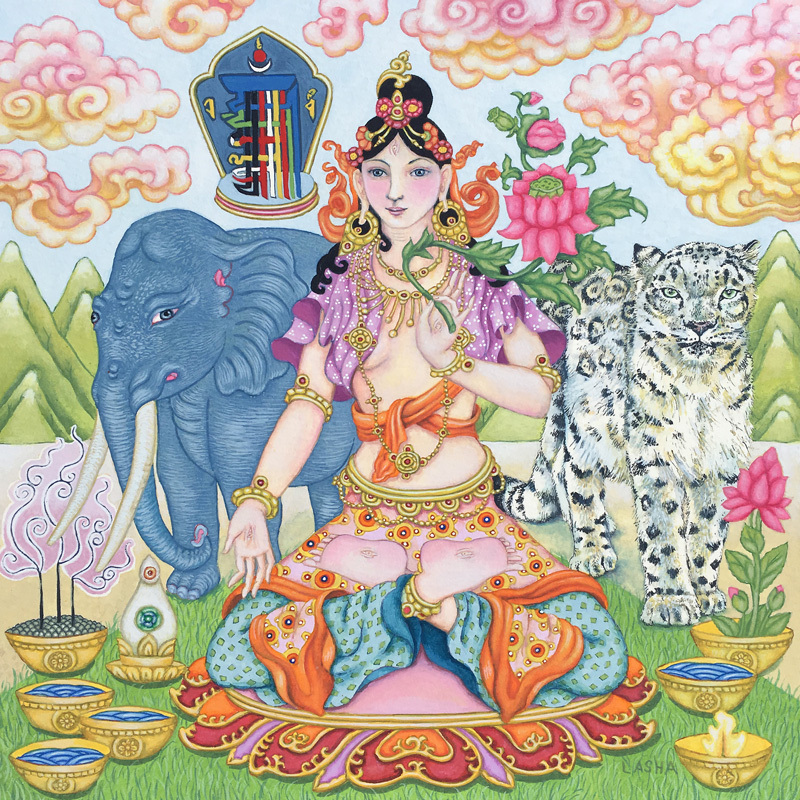 Prints are shipped using Canada Post or UPS Ground for a flat fee of USD$8 in Canada/USA (USD$15 International) per order. Original watercolour paintings are shipped using Canada Post Expedited which is trackable for a flat fee of USD$30 in Canada/USA (USD$40 International) per order. 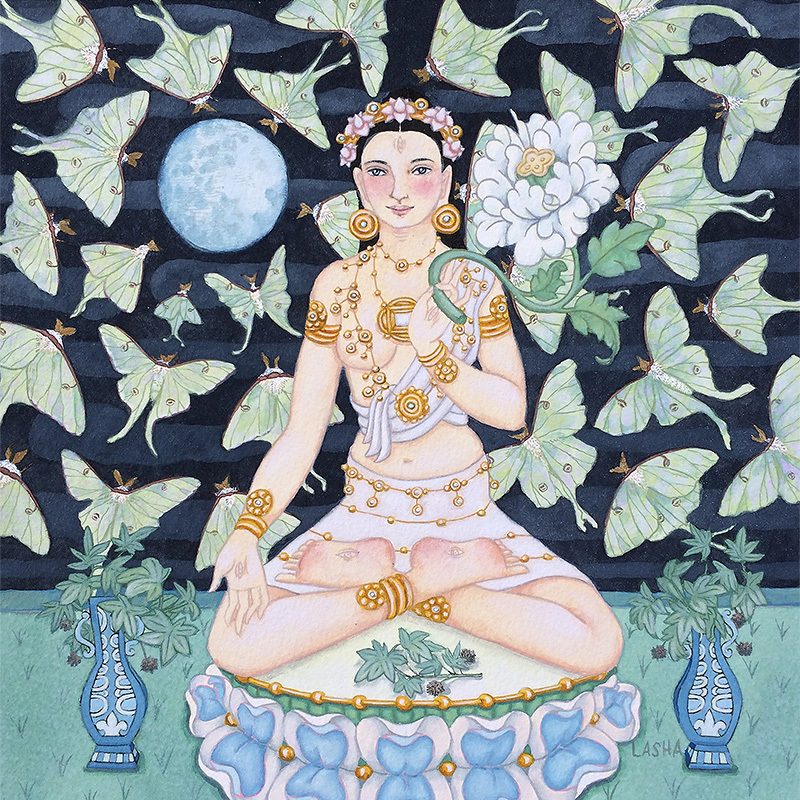 The archival giclee prints are professionally created in Canada using the highest quality pigmented inks rated at 200 years and 100% cotton, 250gsm, Ph-neutral, archival medium fine art paper. Note that all copyright, digital and reprint rights remain solely with the artist.